1. 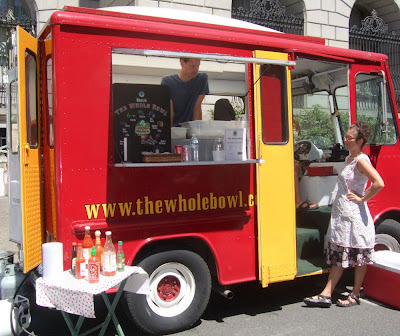 All different kinds of food carts and trucks, especially downtown. Not just tacos, but Thai, Vietnamese, Indian, Middle Eastern, Czech, vegetarian and even soup dumplings. The Whole Bowl, in the picture serves some sort of burrito bowl. 2. With 28 breweries in the city limits, there's good beer on every corner, and even several pubs with childrens' play areas. 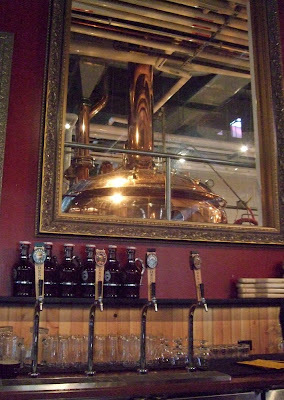 Above are the copper kettles of the Deschutes Brewery in the Pearl district. Their Green Lakes organic brew is mighty tasty. 3. 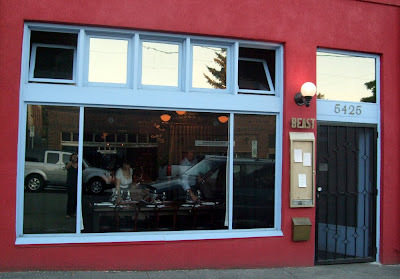 Prix-fixe restaurants with communal tables like Beast, serving exquisitely-prepared, locally sourced food. From the foie gras bon-bon on peanut shortbread to the Cointreau-brined pork chop with summer herb creme fraiche to Gathering Together farm greens with Red Haven peaches, everything showcased the fresh flavors of summer in Oregon. 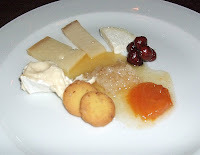 To the right, cheese plate with local honeycomb and candied hazelnuts. 4. Hearty lumberjack moderne breakfasts at Simpatica Dining Hall, another rustic spot with limited hours and an open kitchen. 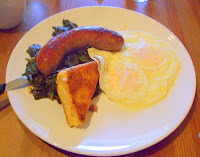 To the right, chorizo, fried polenta, eggs over easy and perfectly cooked greens. 5. 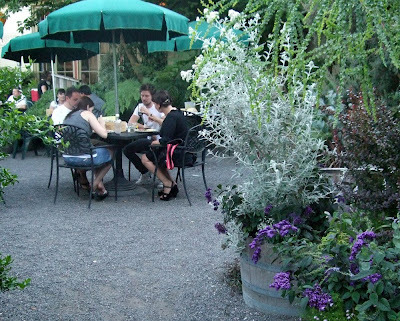 Undoubtedly it rains plenty during the winter, but in summer, Portland's bars and restaurants really make the most of the outdoors. 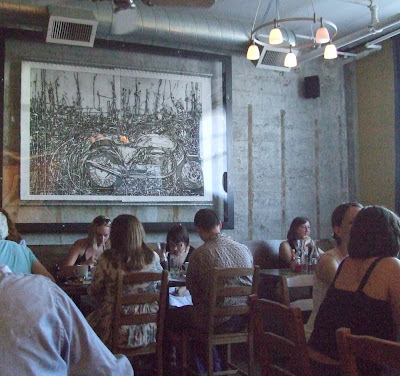 Newer restaurants feature garage-style doors opening to the street and every pub has picnic tables on the sidewalk. Above, the lovely garden dining area at McMenamin's Kennedy School, a renovated school with a movie theater, music club, restaurant, several pubs, hotel rooms and a soaking pool. Awesome! We're heading from L.A. to Portland for 4 nights in August and staying at the Kennedy School. Can't wait to experience all the above stuff. Oh, Portland. How I love thee. #6. The Willamette Valley is a short drive from PDX so you can tour the wineries in the afternoon, by a couple of your favorites (unlike other tasting rooms in CA, Oregon tasting room wine prices are reasonable) then head back to the city for a dinner and BYOB (bring your own bottle)! Corkage fees are reasonable too! I'm glad you mentioned "Beast" in this post. It's amazing! High Tea at the Heathman Hotel.